With plenty of talk over the week gone by concerning the safety in racing, officials at Aintree Racecourse are taking no chances with the anticipated expected backlash with the Grand National meeting looming on the horizon. They are building up to the world's great steeplechase on April 6th - which usually sparks ongoing debates regarding the sport's nature, by attempting to tighten their own safety initiatives. 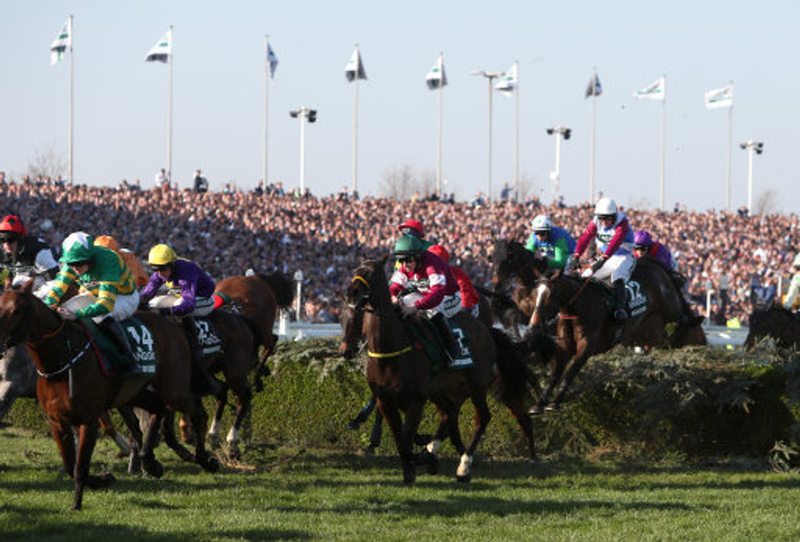 Jockeys who have not ridden over the Grand National course more than twice will be permitted to attend an official walk of the course with a BHA jockey coach. The Professional Jockeys Association (PJA) has come out and backed the decision, which will support riders involved in the three races over the unique spruce-covered National fences at the Spring Festival in three weeks time. (Credit: Racing Post) Andrew Tulloch, clerk of the course at Aintree, said: "We've staged course walks at the meeting for a number of years and seen positive results. "This is the first time it will be mandatory for certain jockeys. Those required to walk the course can do so on any one of the three days," he said. Harry Cobden - victorious last week in the Grade One RSA Novices Chase at Cheltenham last week on board Topofthegame, is one jockey looking to enhance his knowledge of the rare course obstacles, and recommended the walk to others even if it had not become imperative. (Credit: Racing Post) Cobden, victorious in the last two Topham Chases on Ultragold, said: "I thought the course walk was a great idea so went around with Carl [Llewellyn] on the Friday ahead of the 2017 Topham Chase. "I subsequently won the race on Ultragold, and Carl's advice and insight proved invaluable – so much so I walked the course with him again the next day before the National!" The chief executive of the PJA - Paul Struthers added: "Voluntary course walks have been in place at Aintree for a number of years and have been a success, whilst the mandatory course walks introduced for this year's Cheltenham Festival worked very well. "We were therefore very happy to support this decision, with the course walks taking place at multiple times across the three days under the guidance of BHA jockey coaches," he said. Brian Harding - third on Simply Gifted in the 2005 National, joins the dual winner of the National (Carl Llewellyn), to pass on their incisive knowledge of riding the unique course on Merseyside. This is further proof that the BHA are doing all they can for the moment, to booster the safety in the sport to avoid any catastrophes.